The factors to be taken into account when assessing the likelihood of confusion between two trademarks are ordinarily clear, for instance, the degree of similarity between the marks and between the goods/services covered. It is also clear that when the similarity between trademarks is being evaluated, three factors, aural similarity, visual similarity, and conceptual similarity, are to be taken as a three-fold basis for the assessment. These, in short, make up the factors which all IP professionals are familiar with and which are applied when examining the likelihood of confusion. But what about trademarks written in a language that is not an official language of the European Union? Should the assessment also take into account the meanings of the words and even how they are pronounced in their language? What interpretation should be given to Article 9(1)(b) CommunityTrade Mark Regulation? These questions were referred by the Brussels Court of Appeal to the CJUE for a preliminary ruling in Case C-147/14. The Court's ruling was just recently published. The Court's answer leaves no doubt whatsoever: whether or not the meaning and pronunciation of words written in a non-EU language should be taken into account depends on whether the relevant public has a basic knowledge of the language in question. In the case at hand, the trademarks considered contained Arabic words written in both the Latin and Arabic scripts and were visually quite similar. 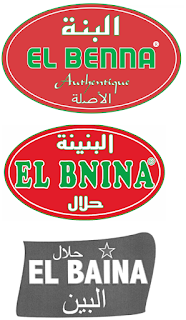 By contrast, if compared in Arabic, the trademarks displayed major phonetic and visual differences, in that the meanings and pronunciations were substantially unlike. At the same time, the goods sold under these Community trademarks were food products that were essentially Arabic in origin, so the relevant public necessarily consisted of Muslim consumers with a basic knowledge of written Arabic. In view of all the foregoing, the CJUE came to the logical conclusion that "Article 9(1)(b) of Council Regulation (EC) no. 207/2009 of 26 February 2009 on the Community trade mark must be interpreted as meaning that, in order to assess the likelihood of confusion that may exist between a Community trade mark and a sign which cover identical or similar goods and which both contain a dominant Arabic word in Latin and Arabic script, those words being visually similar, in circumstances where the relevant public for the Community trade mark and for the sign at issue has a basic knowledge of written Arabic, the meaning and pronunciation of those words must be taken into account". This conclusion is closely in keeping with the social and economic situation in the European Union, a market that encompasses consumers of all nationalities and ethnic groups. It is certainly the decision that makes the most sense in the context of a literal construction of the provision concerned.